Post-op knee brace with air pads for greater patient comfort and easy contouring to the leg. Available as an Adjustable length (20-22"), Short: 4 strap/ 17", Long: 6 strap/ 23". 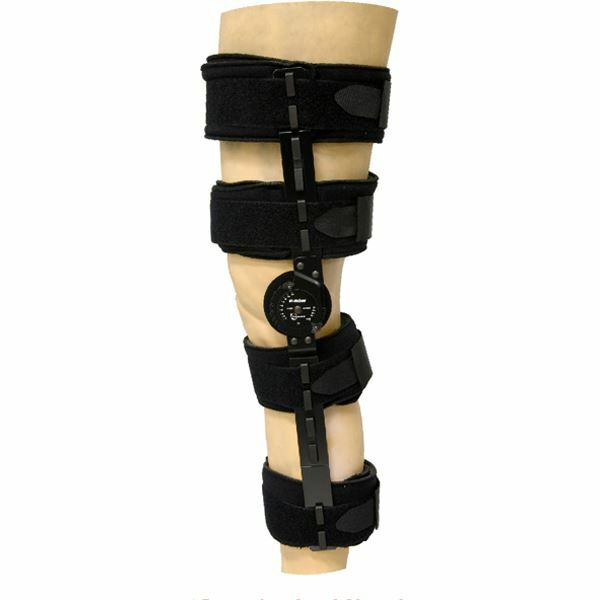 Can be easily adjusted for each patient to provide stabilisation and ROM control for progressive rehabilitation following an injury or surgical procedure. Can also be locked to fixate the knee at full extension.